UPDATE: NOW WITH PICS. I have been reading through the forum while we were waiting for a response from the bank on a short sale (Annapolis, MD). We found out today our offer was accepted and we have to close by the end of May. The house has a 28k gallon, gunite pool with diamond brite accents. It also has a SWG system (I think). The pool was professionally closed in SEP/OCT 2015 and was not opened for the 2016 season. The pool cover was dragged into the pool and it is very green. I know nothing about pools or pool systems so we are having a pool inspection next week by the company that closed the pool in late 2015. 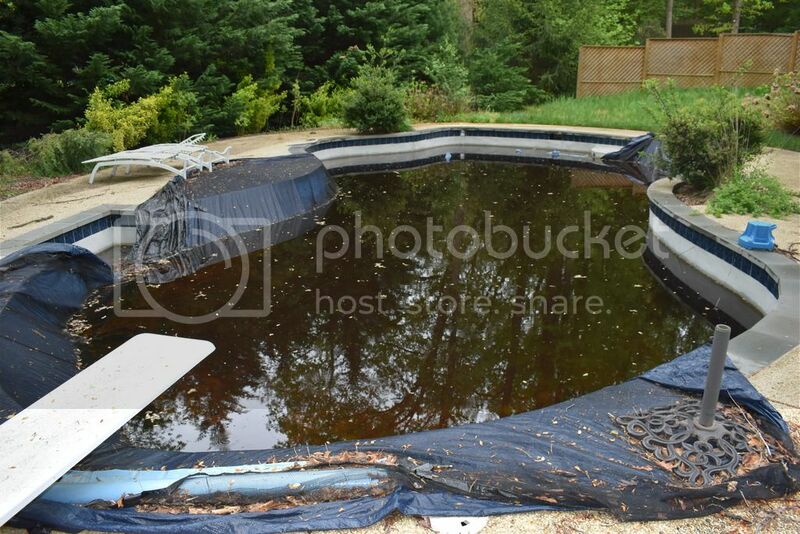 I spoke to the owner of the pool company and he said if there is a lot of water in the pool we should be in good shape due to the water supporting the structure. The water is up to the bottom of the top step in the shallow end so it looks like we are covered there. Is there anything I/inspector should look for during the inspection? I have read up on the SLAM process and testing and will be ordering a TF-100 kit this week. I will try to get some pictures up as I find/take them. I appreciate your help and am very impressed by the forum. 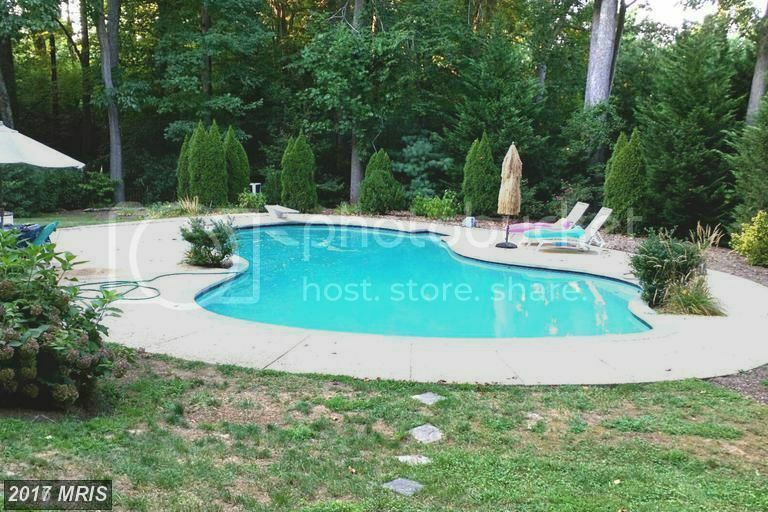 Hi and welcome to TFP, the one stop shop for questions on short sale pools. Just a few tidbits from me before some others chime in. Great job on finding us and starting to read up. Great job on deciding to do it yourself with a top quality test kit. One suggestion, order the XL option as well as you will need to to SLAM that pool. If if at all possible, be there during the inspection and ask what all the equipment is and what all the valves do. Make notes and ask any and all questions you can think of. If you truly want to use the TFP method, don't let him add anything or talk you into his weekly pool service. Any questions you have after the inspection, come back and ask. We will be waiting. EDIT- ask what equipment does and make sure he shows you how it works. Thanks-- I will definitely have the inspector go over the equipment. I appreciate the advice. More pictures and questions to follow. Welcome to TFP.. A Great resource for all pool rescues.. I'm not sure how much actual testing the inspector will be able to do with the pool full of who knows what. 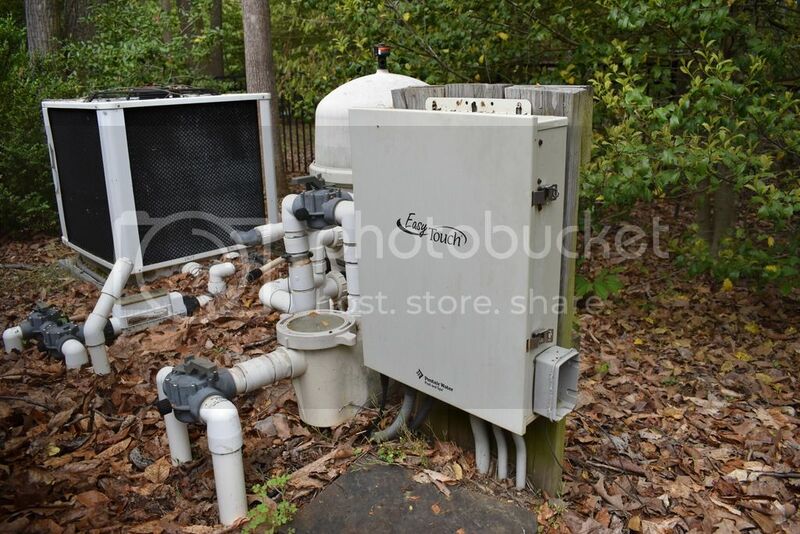 You have a full Pentair automation system. It would be important for the inspector to show you the basic operation modes. And yes, you have a saltwater pool, or at least it was a saltwater pool. The picture of the Intellichlor IC40 is your salt cell. Since the pool is a swamp, I'd keep the cell off until the water is crystal clear again. I'd check with the city to see what it would cost to drain and refill your pool. It may, or may not be, the most cost effective way to get back on track. 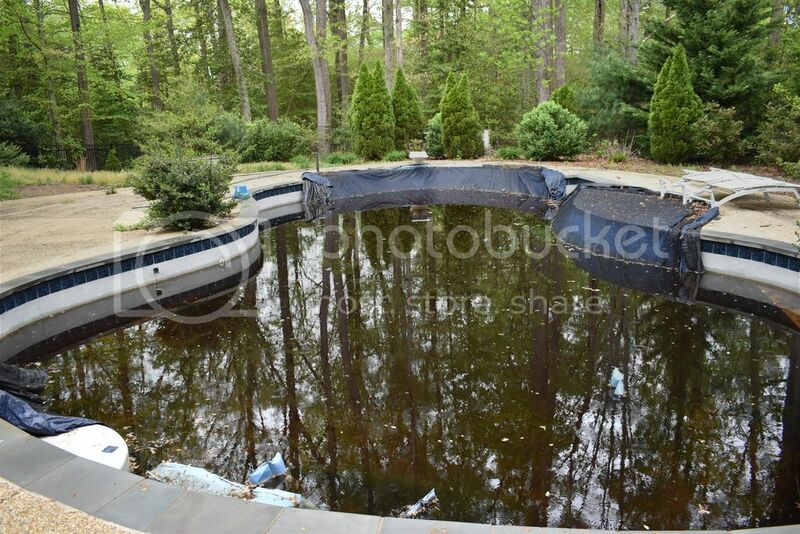 Thanks for posting and good luck with you new pool. The photo above is from the previous owner--probably 2015. Thanks for all the help so far. Cover fell in over the winter - possible hole in liner - advice needed please..